At her home in Whynotts Settlement, Nancy Drennan enjoys a cup of tea while planning an event to give back to the charity that helped her. Nancy Drennan is giving back to the charity that helped her during a time of need. Last year Ms Drennan was diagnosed with breast cancer. It was the Rose Fund that helped the single mother of two with a gift just before the Christmas holidays and during the winter to heat her house. "They [the Rose Fund committee] were absolute angels for me," said Ms Drennan. "I want to give back to the Rose Fund because there is no other charity out there to help." One of the committee members had personal knowledge of Ms Drennan's situation. With the blessing of the committee, Angela Brown showed up at Ms Drennan's house one day with a gift to help the family at Christmas-time. "I was so humbled," said Ms Drennan. "I just stood there and sobbed because it was so needed [but] I wouldn't have known to go ask." That day she vowed when she became well again, she would give back to the Rose Fund. Ms Drennan was diagnosed with breast cancer in October 2008. One year later she is feeling well and says this is her time to return the favour. "The Rose Fund was there for me," said Ms Drennan, who plans on returning to work soon. With the help of Ken Pickrem, Ms Drennan is organizing a variety show and karaoke dance at the Bridgewater Legion on November 14 beginning at 7 p.m.
Mr. Pickrem and Ms Drennan will be singing and others are invited to sing or dance or just come to watch the performances. Volunteers of the Rose Fund committee will also be pitching in and selling tickets on a Christmas basket and a cancer survivor will also be selling jewelry for the fund. 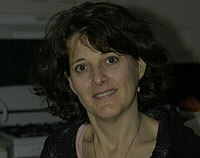 The Rose Fund was started by friends and family in memory of Rosanne Himmelman (1966-2005). The charity donates to cancer patients to help with over-the-counter, or household and travel expenses. "We should reach out and help when we can," added Ms Drennan.